A view of the castle's prominent feature the NW corner tower which bears a shield with the Barnewall and Nugent arms. 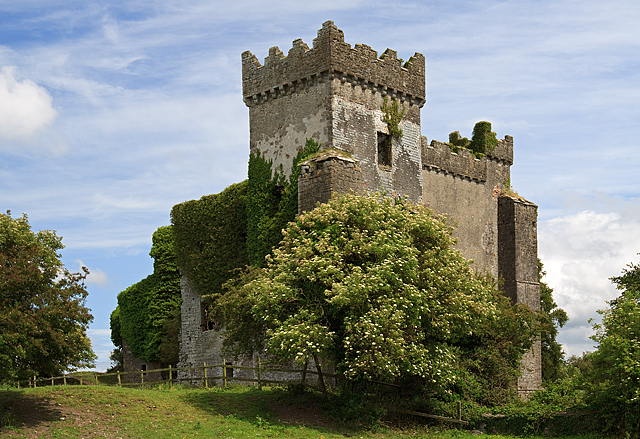 The first Lord Tremblestown was Sir Robert Barnewall in 1461, whose family title was lost with the banishment to Galway of the 8th Lord by Cromwell. The title was eventually restored to the 13th Lord only after he became a Protestant in 1795.